The "Reach 4 Freedom: Heal Child Abuse Music Project" needs the support of people in the music industry (and supporting areas) to be the earth angels, angel investors, sponsors, supporters, whatever you want to call yourself who support taking this project to completion. Already, many of you have answered the call to play the songs I've written and shared on ReverbNation and Soundcloud. Your support on ReverbNation brought me and my songwriting from the low 300s rank in the NY/NJ/CT/PA local area to Top 30's this week. I believe we can generate more energy through plays and listens there to reach the Top 10, maybe even Number ONE. 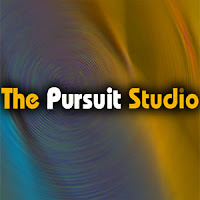 Although I am grateful for the generous words people have left as testimonials for me on ReverbNation and Soundcloud for my songwriting under my company name, The Pursuit Studio, I know I'm not a great singer. The songs need YOU, the gifted, talented professional producers, singers-vocalists, musicians, arrangers, promoters, engineers to "knock these songs so far out of the park" that they become stars in our beautiful universe of music. COPYRIGHT: Please follow the Creative Commons 3.0 license requirements. You can use the songs I've written for noncommerical purposes and must attribute the music by name to me as the composer. 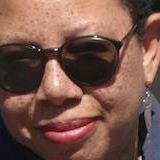 Share all arrangements and remixes by sending the songs to me via email attachments or provide download links to them so I can listen and contact you to feature you and the song here on this blog, on music sites, social media, and perhaps The Healing Artist Studio Project radio channel. If interested in commercial use of my music in any form, please contact me at: oliver.valerie@gamil.com. On a personal note, the photo on the page is of me. I was abused by two adults as a child: a male and female. I've forgiven them both. I had a near death experience a couple of years ago that helped me to awaken to a deep compassion for what I experienced and for the people who hurt me. As children, none of us dream of growing up to be a child abuser. So this project is also dedicated to healing the child within adults who find themselves trapped in this nightmare. I was brought back to life to be of service in this way, to continue my own healing, and to enjoy life to the fullest! I look forward to working on this music project with those of you who step up and reach out to make the dream a reality. NOTE: Special thanks to Neil Alexander (The Busiest Man I Know).